1970-1975 QA50. 1980-1981 CT110 "TRAIL 110" FOR THE AUXILIARY "SUB TANK". 1967-1968 P50 "LITTLE HONDA". 1972-1979 CT90 "TRAIL 90" FOR THE AUXILIARY "SUB-TANK". 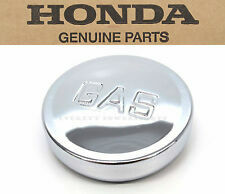 This is a authentic Honda part complete with the gasket and the classic "GAS" stamped right on top! 1970 PC50 LITTLE HONDA. 1966 CM91 HONDA 90. 1963 CA100 HONDA 50. 1973-1974 ST90 K0-K1 TRAILSPORT 90. 1980-1982 CT70 TRAIL 70. 1980-1981 C70 PASSPORT. The cap is complete with the gasket. Two-way Motorcycle Pit Dirt Quad Bike Fuel Cap Petrol Tank Breather Pipe Hose. Features: CNC machined & colour anodised & two-way breather. Also the short pipe allows for easy turning of the fuel cap. 1 x Motorcycle Carbon Fiber Tank Sticker. Designed to protect your fuel tank finish from scratch caused by buckles, zippers, buttons, etc. 1PC Tank Pad Sticker. Waterproof and Durable Tank Gas Protector Pad. Universal 5 Litre Fuel Tank Jerry Cans Spare Plastic Petrol Tanks Atv Jerrycan Mount Motorcycle Gas Can Gasoline Oil Container Fuel-jugs w/ Lock Mounting Kit. Built-in bendable oil tubing for storing oil and refueling easily. This multi-purpose holder is designed to mounted on the motorcycle tank cap securely. 1 Motorcycle Tank Mount Bracket Kit (Shown as Picture). Bolts Size & Quantity: M5-0.8 16mm (3pcs), M5-0.8 20mm (3pcs), M5-0.8 25mm (3pcs), M6-1.0 25mm (3pcs), M5-0.8 35mm (3pcs), M5-0.8 45mm (4pcs). This multi-purpose holder is designed to mounted on the motorcycle tank cap securely. 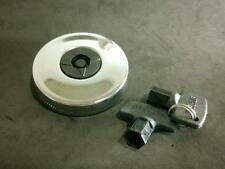 1 Motorcycle Tank Mount Bracket Kit (Shown as Picture). Bolts Size & Quantity: M5-0.8 40mm (4pc), M5-0.8 25mm (3pc). Quantity:1PCS Capacity:10L Color:RED Material:ABS Features: Jerry can made of high toughness plastic material, oil and anti-corrosion, anti-static, anti-ultraviolet Jerry cans suitable for motorcycle mount Jerry can with built-in oil pipe (fuel tube) Jerry can with vent holes designed to prevent backflow of the negative pressure generating. CBR650F 2014-2016. CBR500R 2014-2016. 3D Look with Gel Surface for Enhanced Grip & Guard. Made of Thermal Molded Vinyl Resin for Premium Quality Protection. Pet Supplies. Long Lasting Adhesive Resists Water and Other Corrosions. Fuel Tank Breather Pipe. Type: Fuel System. Color: Red. Features: CNC machined / Colour anodised / Two-way breather. Make your bike stand out of the crowd with this Bling decal set! Service Overview. Easy installation, just clean your fairing with a non-oily cleaner, peel and stick! Color: As the picture shown. Product Details. 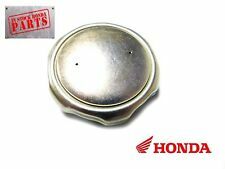 Universal Fits all Honda,Yamaha, Kawasaki,Suzuki,KTM,BMW,H arley,husqvarna, Husaberg,Aprilia,Benelli,Buell,Ducati,Can-am. Motorcycle Motorbike Dirt Pit Bike Motorcross Dirt Bike and ATV and more. Oil Gas Fuel Tank Sensor Sending Unit for GY6 Moped Scooter Bike 157QMJ 152QMI. Fit for most 50cc to 250cc Chinese scooter, mopeds, with 4 stroke GY6 QMJ/QMI157, QMJ/QMI152 engine. 1 X Scooter Fuel Tank Sensor;. Make your bike stand out of the crowd with this decal ! Long Lasting Adhesive Resists Water and Other Corrosions. Truning Light. Color: As the picture shown. Tail light. Product Details. Product Show. Make your bike stand out of the crowd with this Bling decal set! Service Overview. Easy installation, just clean your fairing with a non-oily cleaner, peel and stick! Color: As the picture. Product Details. Headlight Set. Long Lasting Adhesive Resists Water and Other Corrosions. Make your bike stand out of the crowd with this decal ! Color: As the picture shown. Tail light. Product Details. Product Show. Specification: - Condition: 100% Brand New - Color: As the picture shown - Material: Thermal molded resin - Size: 230mmx180mmx2mm - Long lasting adhesive resists water and the elements Fitment: - Fit for Honda models. - Please check pictures for frames make sure this part fits for your motorcycle model before bidding,Thank you. Package included: - Quantity: 1 piece - Easy installion:just peel off backing self adhesive tape and stick on, Please use detergent to clean the surface of the target before stick it on. 1980-1986 CT110 TRAIL 110. 1969-1979 CT90 TRAIL 90. 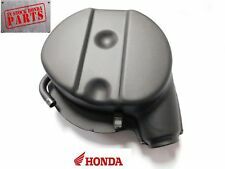 Genuine Honda Fuel Tank COMP. 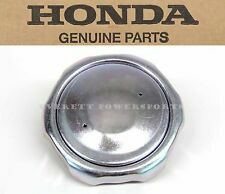 HONDA GENUINE PARTS. This is a Genuine Honda part. Manufactured by Honda. 100% GENUINE! 1PC Tank Pad Sticker. 1 x Motorcycle Carbon Fiber Tank Sticker. Waterproof and Durable Tank Gas Protector Pad. Designed to protect your fuel tank finish from scratch caused by buckles, zippers, buttons, etc. Waterproof and Durable Tank Gas Protector Pad. 1PC Tank Pad Sticker. 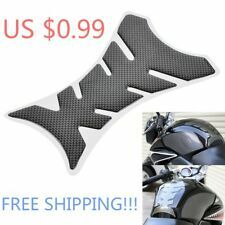 1 x Motorcycle Carbon Fiber Tank Sticker. Designed to protect your fuel tank finish from scratch caused by buckles, zippers, buttons, etc.